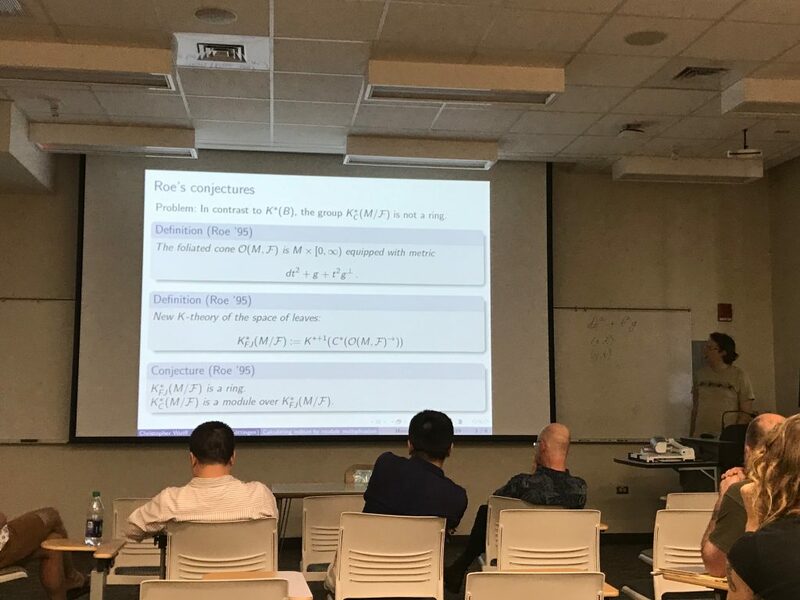 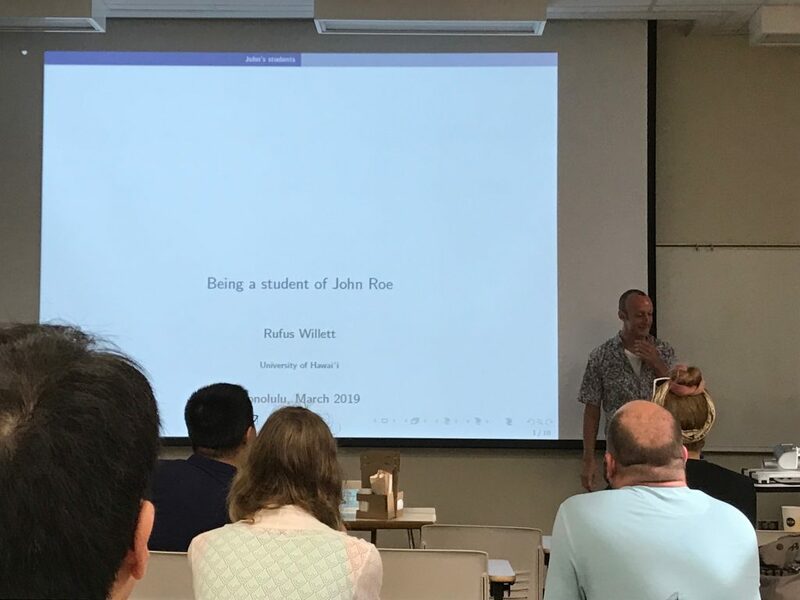 There was a Special Session on Coarse Geometry, Index Theory, and Operator Algebras: Around the Mathematics of John Roe at the Spring Central and Western Joint Sectional Meeting of the AMS last weekend to which Christopher and I were invited to give talks. 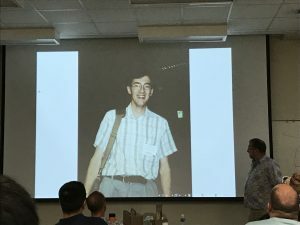 John Roe passed away last year. 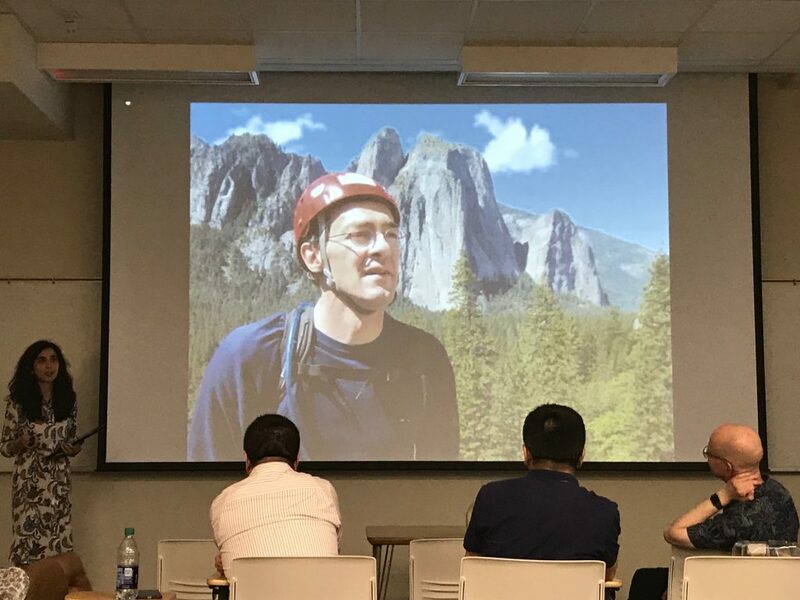 His personal webpage is still online for those who want to get a glimpse at all he was interested in. 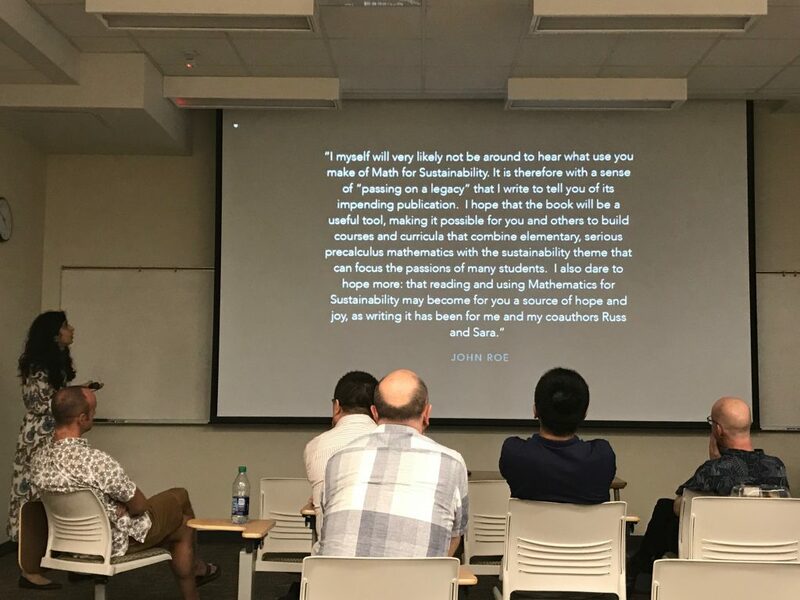 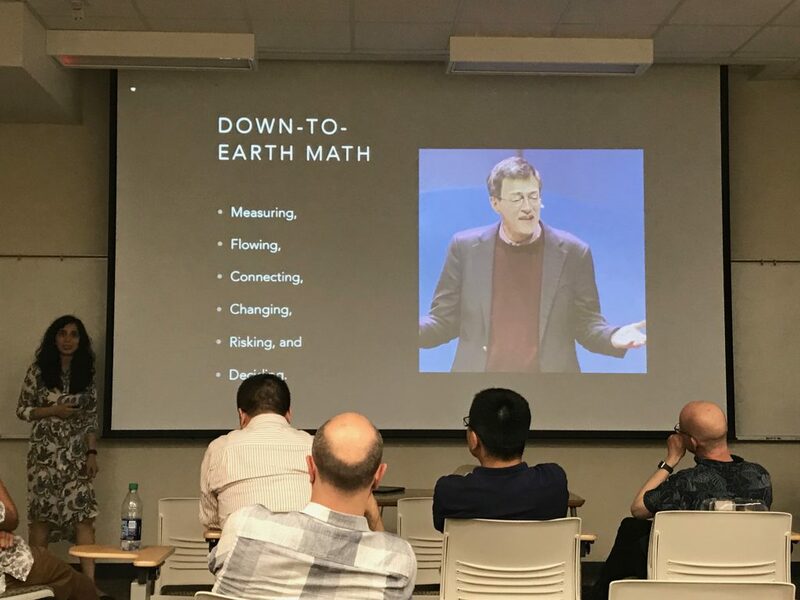 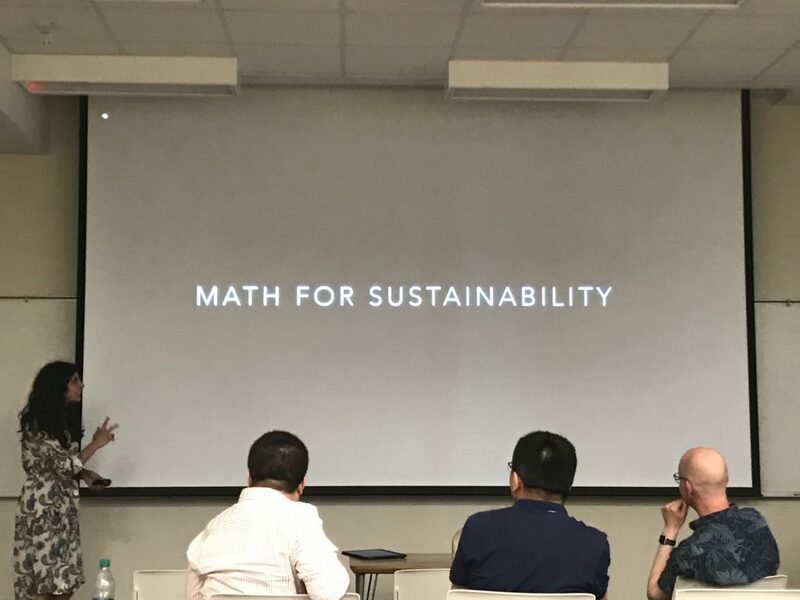 But the most interesting talk for me was by Sara Zelenberg about Mathematics for sustainability – the book with which John was occupied at the end (Sara is one his co-authors of this book). 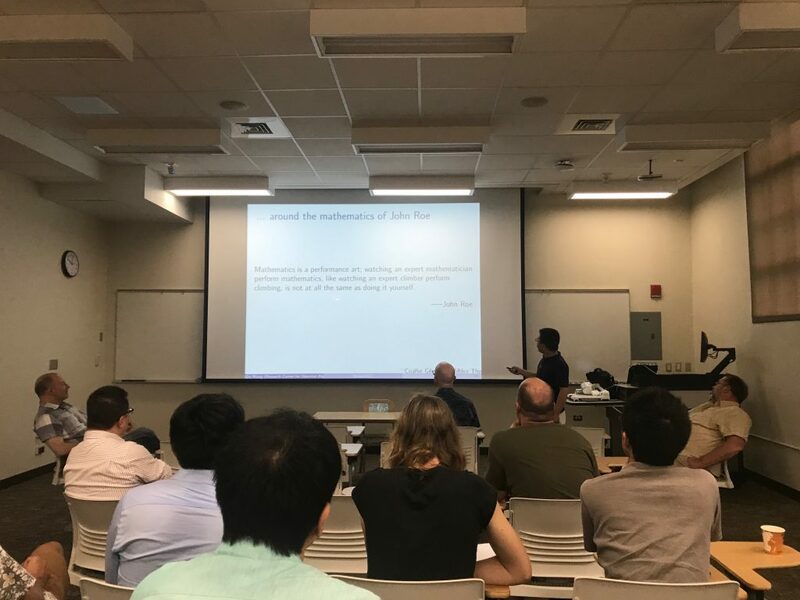 Let me finish this post by showing two pictures. 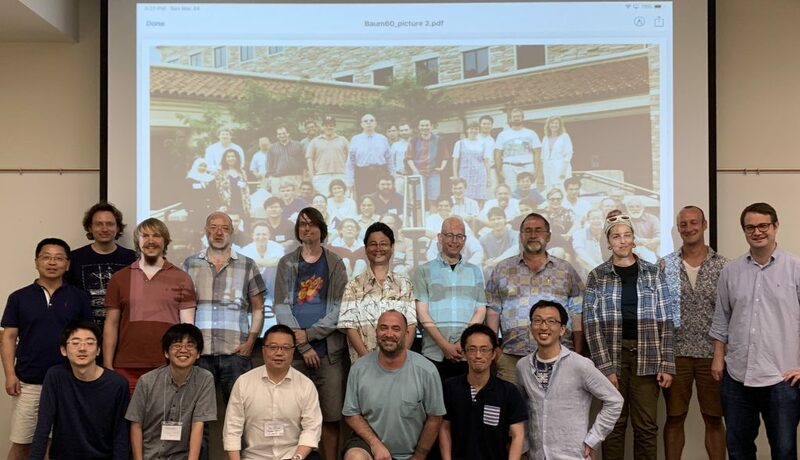 The first one is the group picture of this special session, which was taken in front of a projection of an old conference picture (Paul Baum’s 60th). 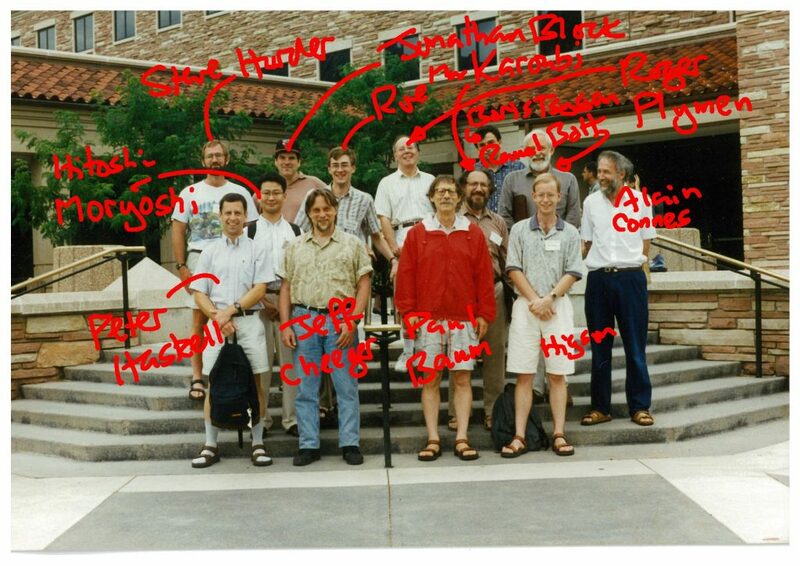 The second one is another picture from that conference (with naming provided by Nigel Higson).